This is a group of Tumut Plains boys, including my grandfather, Bill Sturt, in front of the old Sturt home at Tumut Plains. 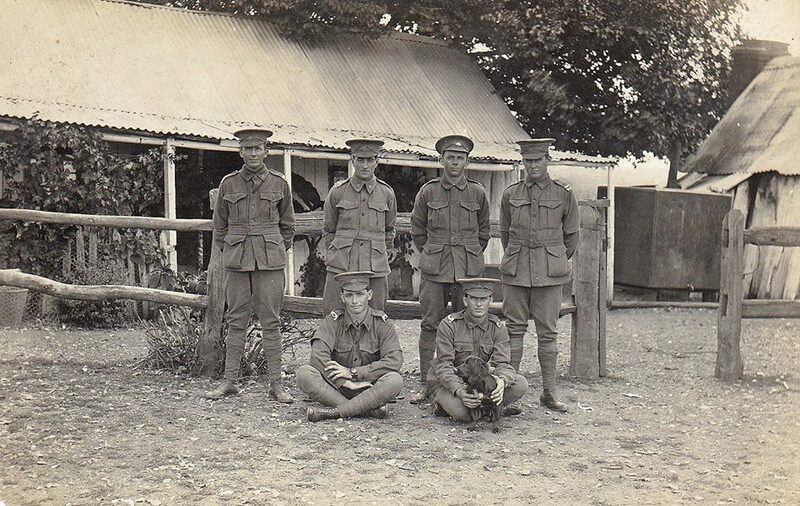 L to R standing, Edward Malone, Frank Henry, William Sturt, Charles Wicht (KIA 11/9/1918, France). Sitting is Gus Keown and Tom Malone. They left in May, 1916 and all were in the 36th Battalion AIF except for Charles Wicht who was in the 4th Battalion. Bill Sturt later transferred to the 33rd Battalion. 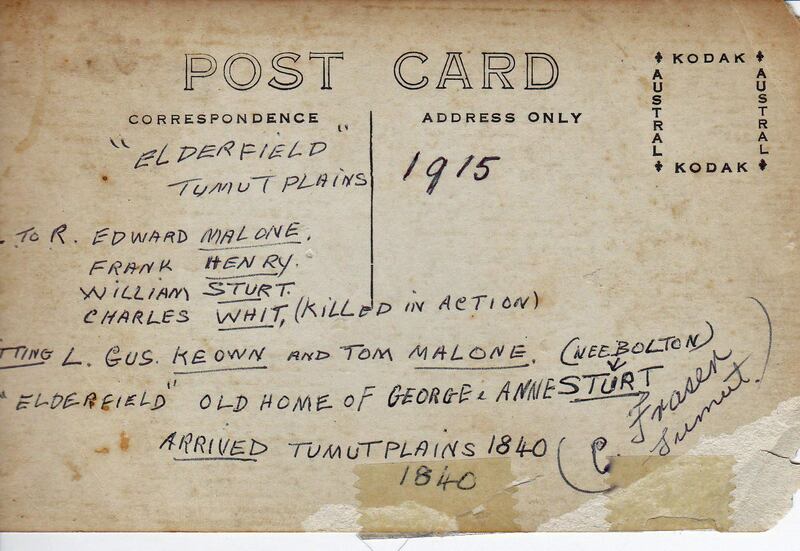 This is the back of the photo, the year should be 1916 and the spelling of Charles’ surname has been corrected according to his records, SERN 7542.